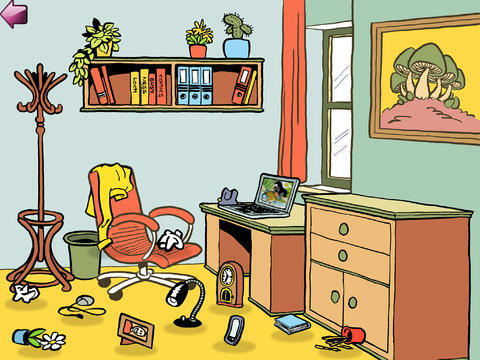 TidyUp! is an iPad game developed by Wirenode s.r.o. / 2014 TobiGames.com. If you need an iPad app to entertain your small children, this is a solid choice. TidyUp! helps parents to introduce good habits to their kids at a young age. 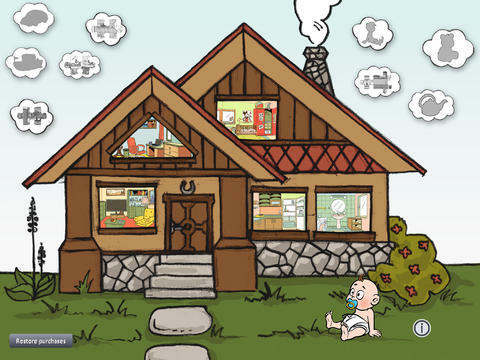 In this game for the iPad, kids can learn how to clean different rooms in the house. As any parent knows, one of the most common bones of contention between kids and adults is keeping the house clean. This app teaches kids about the values of keeping things tidy, and may help to set the stage for creating neat-as-a-pin kids. Kids are instructed to move objects to the correct places on the screen. Each object speaks if you move it to the right place. If you move it to the wrong place, the kid gets feedback to correct them. 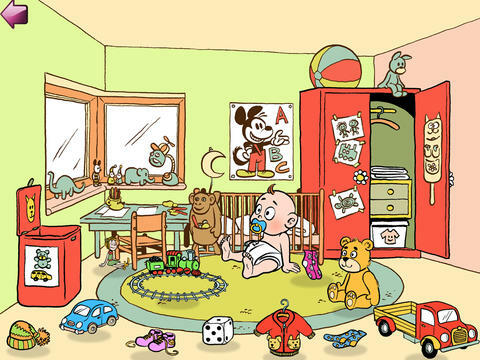 The game contains more than 50 different objects. As kids move throughout the house, they can learn the names of various household items. This helps to build both communication skills and vocabulary in young children. 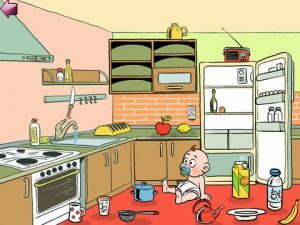 This app is suitable for kids as young as two years old. In fact, the developer of this app created it as a product for their own child, and has tested on the child and his friends. TidyUp! currently has a limited number of free rooms and additional free puzzles to play. Additional rooms can be purchased via IAP for just 99 cents. While this app may not seem very exciting, it is a solid tool for entertaining young kids, and helping them learn the words they need to communicate better. It’s no substitute for the interaction a growing kids needs from real people, but this iPad app is still a safe app for kids. TidyUp!is iOS 5.1.1 or later. Compatible with iPad.